Many people suffer from anxiety when considering a visit to a dentist. As a result, both dental and general health can suffer. Our dentists are very considerate and gentle. They take the time to understand any concerns you may have in relation to your treatment and are trained in providing you with the following pain free treatment options to ensure your visit is as comfortable as possible. Sedation can be administered by a dentist who has had additional post graduate training. We can provide Happy Gas to reduce the pain perception and manage your anxiety so that you have a more pleasant experience. It’s well tolerated by many people and it is easy to reverse the action quickly. This can be used for simple procedures like scaling and polishing of teeth to complex procedures like wisdom teeth extractions. Our dentists use a topical anaesthetic gel which significantly reduces any pain/discomfort of local anaesthetic. General Anaesthetic can be administered by an Anaesthetist at Mackay Mater Hospital along side the dentist and nurse who work together as a team to provide a high standard of care in a safe environment. General Anaesthesia may be recommended for patients who are extremely frightened, anxious or unco-operative. A General Anaesthetic allows the dentist to work longer and complete more treatment in one appointment. This reduces the number of visits and provides a more comfortable experience. 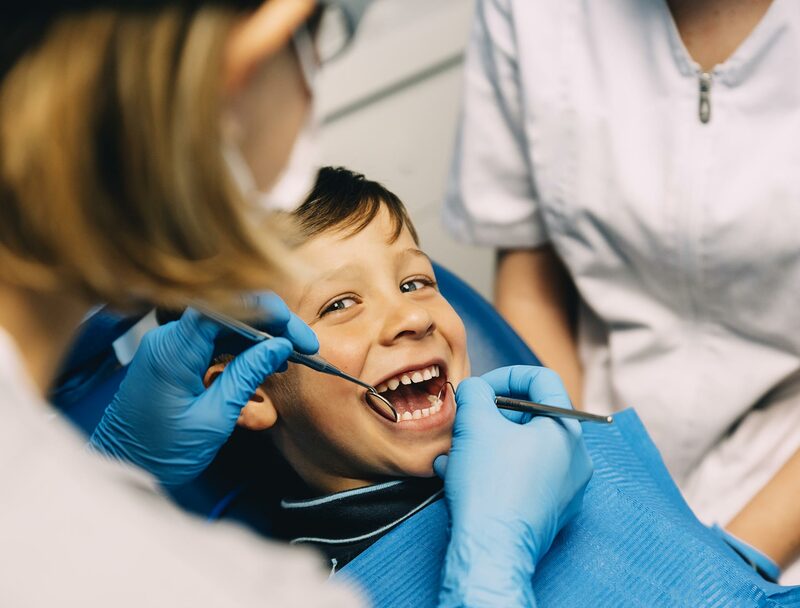 Commonly very young children who need extensive dental work or adults who require multiple extractions or fillings can undergo treatment under General Anaesthetic.